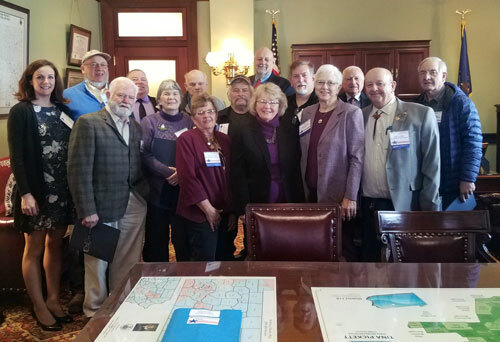 Members of the Farm Bureaus representing Bradford, Sullivan and Susquehanna counties traveled to Harrisburg this week to hold their annual advocacy day at the state Capitol. Their visit included a meeting with Rep. Tina Pickett (R-Bradford/Sullivan/Susquehanna) to discuss several important issues facing farmers and the agriculture industry along the Northern Tier. Among those are challenges within the dairy industry and lack of access to internet broadband.